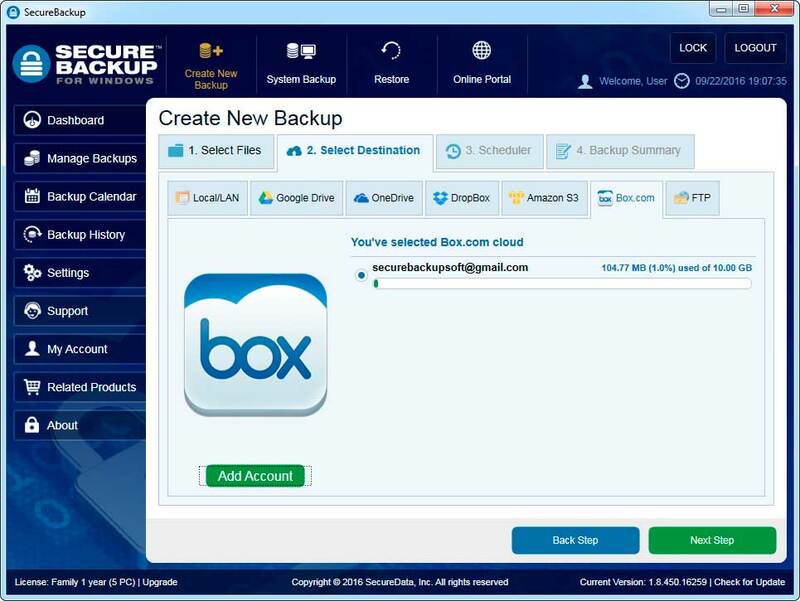 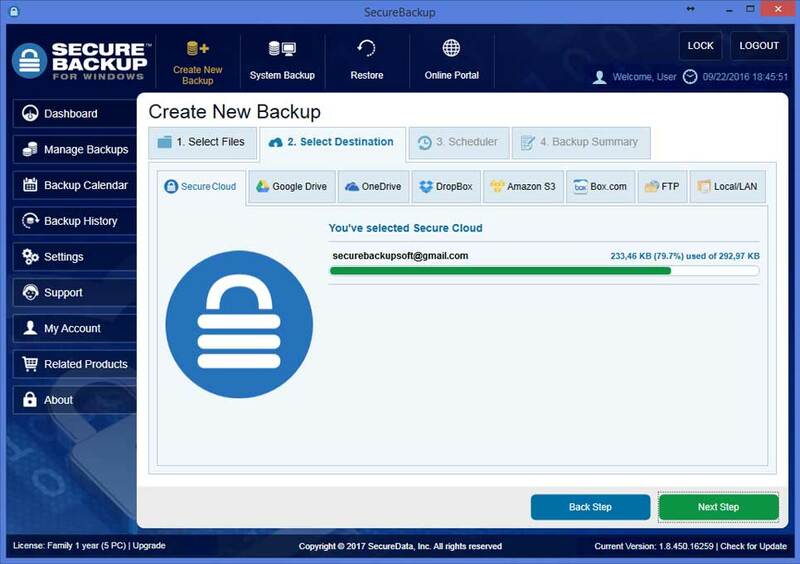 You can backup your data on SecureCloud, locally, to an FTP Server on your network, or select from one of the cloud services from the list: Gdrive, OneDrive, DropBox, Amazon S3, Box.com. 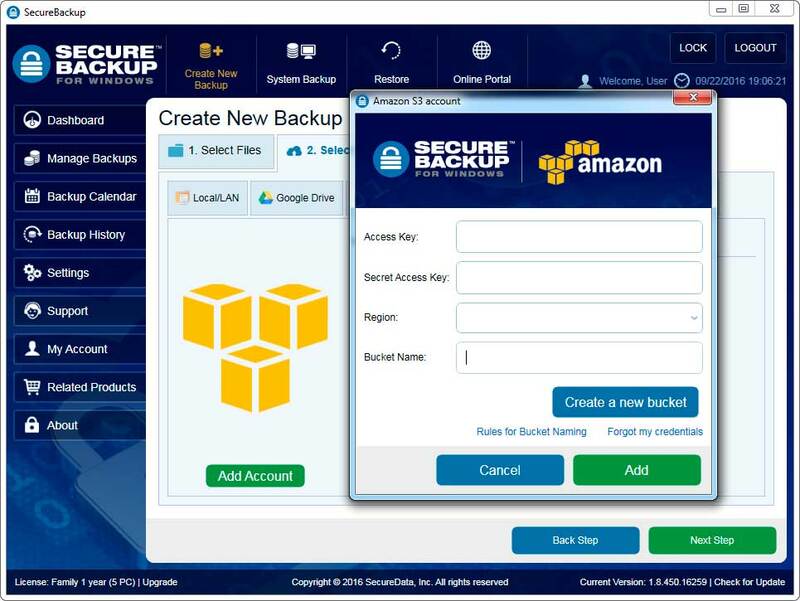 You can add a new account while creating New Backup or in the advanced settings through in "Settings" → "Network Accounts" menu. 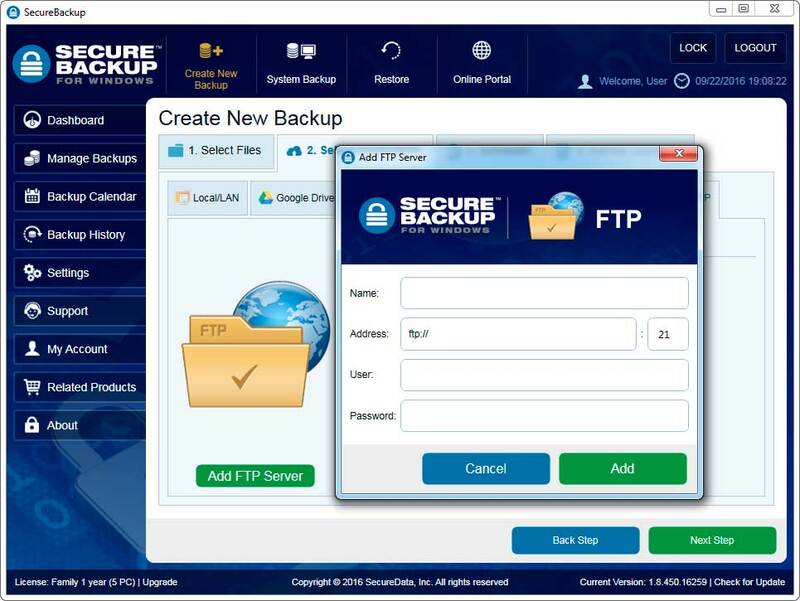 It's possible to add up to 10 accounts for each cloud/FTP. 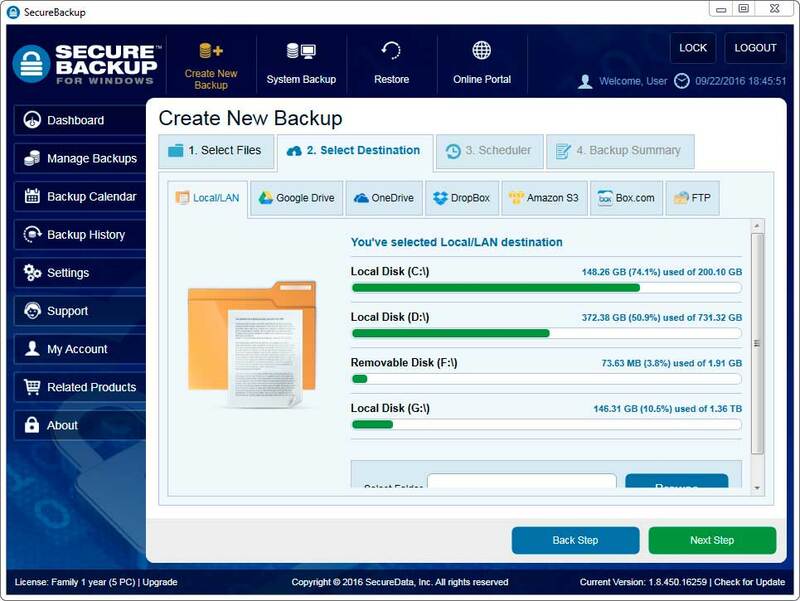 After adding an account, the appropriate storage usage information will be displayed.